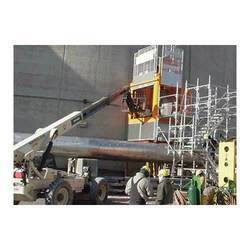 We are one of the renowned service providers of Chemical Plant Erection Service. Our services are rendered by industry accomplished professionals who have prosperous industry proficiency and practice. The presented services are accomplished at very nominal cost within predetermined time period. We are the leading organization to offer our clients an optimum quality Chemical Plants Erection Service. Remove dirt, grease and product build up in grates, floors, external piping, bins, walls, hopper cars, rotary kilns etc. We have in-depth expertise in the domain of providing Erection Services for cement plant machines and equipment. Our engineers and technicians are well aware of latest technologies and accordingly assure effective erection of these machines. CALCOM, Cement Corporation of India in Assam.